I like Pokémon as much as the next person! In fact I am currently waiting for my copy of Pikachu: Let’s Go to appear in the mail, looking out my door every few minutes. I’ve been watching Pokémon on Netflix since hearing about the release of this Nintendo Switch game. And I have been enjoying the world around these creatures and the — not-so-great at catching — Pokémon trainer Ash. But, I’ll admit, I have not seen a Pokémon movie in a while. After everyone on my Twitter timeline started freaking out about Detective Pikachu, I started craving the animated versions of my hero Ash. Coincidentally, I was invited to the press screening of Pokémon: The Power of Us. This animated movie felt, to me, much like an episode as opposed to an epic movie, and that was perfectly fine with me. The movie started up with Risa — a young athlete who isn’t actually a Pokémon trainer. 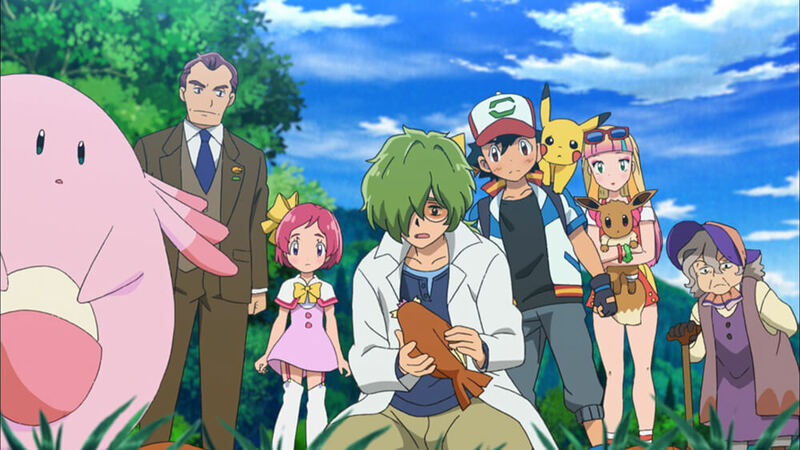 This theme continued to follow within the story; many of the characters and individuals weren’t actually trainers, but instead were normal people living within the world of Pokémon. Risa’s younger brother had broken his leg — rendering him unable to catch Pokémon or explore during the city’s Wind Festival in honor of the legendary Lugia, which is going on very soon. As he is out of action, Risa is tasked with catching a specific, unknown to us, Pokémon that will be somewhere around the festival. Risa isn’t the only character who doesn’t have much interest in becoming a pokemon trainer; Callahan, a middle-aged man who is only pretending to be a trainer to impress his niece appears soon, as well as the mayor’s young daughter Kelly, a girl too young to have Pokémon, but with a big heart for them. There also is Harriet, an old woman who doesn’t like Pokémon at all and Toren — a researcher with tons of anxiety towards public speaking and talking to other individuals. Harriet, out of these newly introduced characters is by far my favorite. Living in a world surrounded by creatures she hates, for seemingly no reason, provides for some very funny interactions as the Pokémon around her are celebrated and roam freely. Callahan, on the other side of the spectrum, was my least favorite character to follow. He seemed to only care about his appearance to others, often lying and misleading people to keep up his appearance. He does change over time within the movie, however, I feel that as an adult, he should have known better than to trick children all along. And of course, there is Ash — our beloved trainer who comes into the festival to see what it’s all about. Despite all of these characters being very different in their likes, hobbies, and opinion of Pokémon — when the town needs them, they come together. Pokémon: The Power of Us spends quite some time setting up the backstories of all of these characters and allowing them to subtly interact with one and other. Everyone seems to have their own problems and fears to overcome, and they each almost seem like main characters of the same story — all with different angles to view it at. The legendary Pokémon Zeraora is what brings these individuals together, despite not being the biggest fan of humans to begin with. It is worth noting that as opposed to having some bad person to fight against, this movie brought everyone together through a random disaster that occurred. Instead of battling against each other, everyone, no matter what their background or love of Pokémon, needed to work together to save each other. The movie had a clear ending message, much like a fairytale would. Also, everyone starts suddenly saying ‘Poké Power’ towards the end, which is really quite strange. It was a delightful watch with so many different people — all fleshed out with their stories well integrated with one and other. I quite enjoyed the screening. Tickets are now available for screens of Pokémon: The Power of Us which is coming to the UK & Ireland on November 24th and December 1st. Please Note: Due to the absence of a press kit, all images used are sourced from imdb.com. Who’s that big yellow, I assume, electric type pokemon?